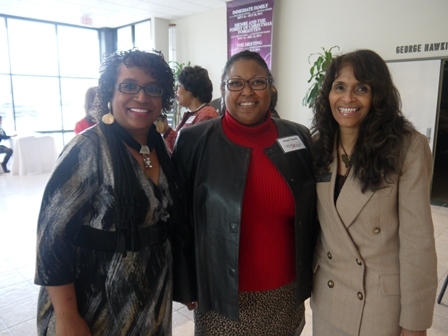 The Ensemble Theatre celebrated its 2013-2014 Annual Heart of the Theatre appreciation event, Monday, March 3, 2014. The day kicked off with a corporate luncheon were Ensemble Board President Micheal Helm gave a report on the impact corporate and individual donor support has had in the growth of the theatre as a stable business and major influence in the Midtown community. Interim Executive Director Jill Jewitt of MATCH (Midtown Arts & Theatre Center Houston), spoke about the forthcoming arts space soon to break ground near the theatre. Janette Cosley, Ensemble Executive Director serves on the executive director selection committee for MATCH; and Eileen J. Morris, Ensemble Artistic Director serves as chair of the Midtown Management District’s Cultural Arts Committee. 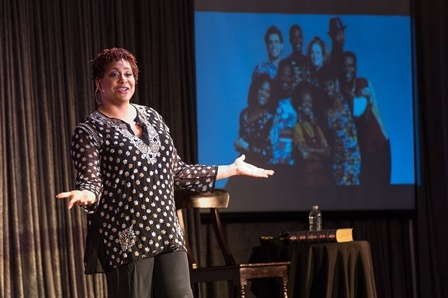 The day culminated in a performance by Kim Coles, The Ensemble Theatre’s 2013 Actress of the Year honoree, returning to Houston with her one-woman show entitled: Oh But Wait…There’s More! Over 300 subscribers and donors were in attendance for this special event hosted by The Ensemble’s board, staff, and artists as an extension of gratitude for their support of the theatre’s programs year round. 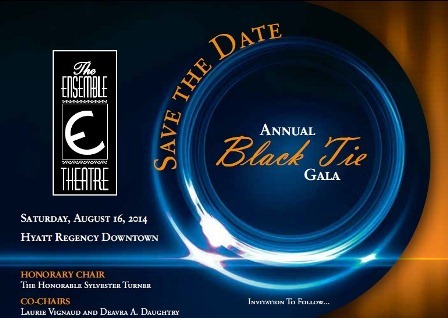 The Ensemble Theatre is preparing for its August 16, 2014 Annual Black Tie Gala and Fundraiser where celebrities, corporations, and local community members will be recognized for their contributions to the arts and support of The Ensemble Theatre in becoming one of Houston’s premiere historical cultural institutions.